Suddenly this flying insect arrived and grasped the butterfly without landing. It really rapted it, stopped nearby then started to relish its meal. 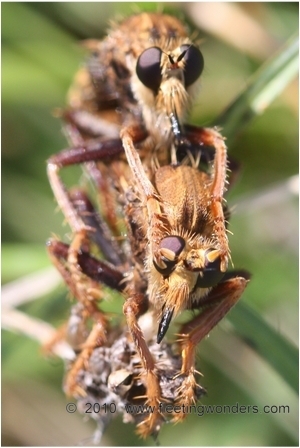 This insect was identified as a specimen belonging to the Asilidae family (Diptera).